This article is intended for the solution of problem Samsung Galaxy J7 J710F Touch Screen Not Working. If the phone you have the kind of problem the touch screen to see improvement in the diagram below. If ever trying to fix Samsung Galaxy J7 J710F touchscreen failure issues and you’ll do replacing the touch plate module, trying to calibrate the touchscreen setting but unresponsive and restoring, upgrading and flashing the device firmware but nothing happens, the problem still exists and the touch screen left unresponsive. This sometimes happens if the device suffered due to a wet damaged, heavily dropped and any related damaged accidentally done by the user. In this case, only a hardware repair may only help solved the problem. 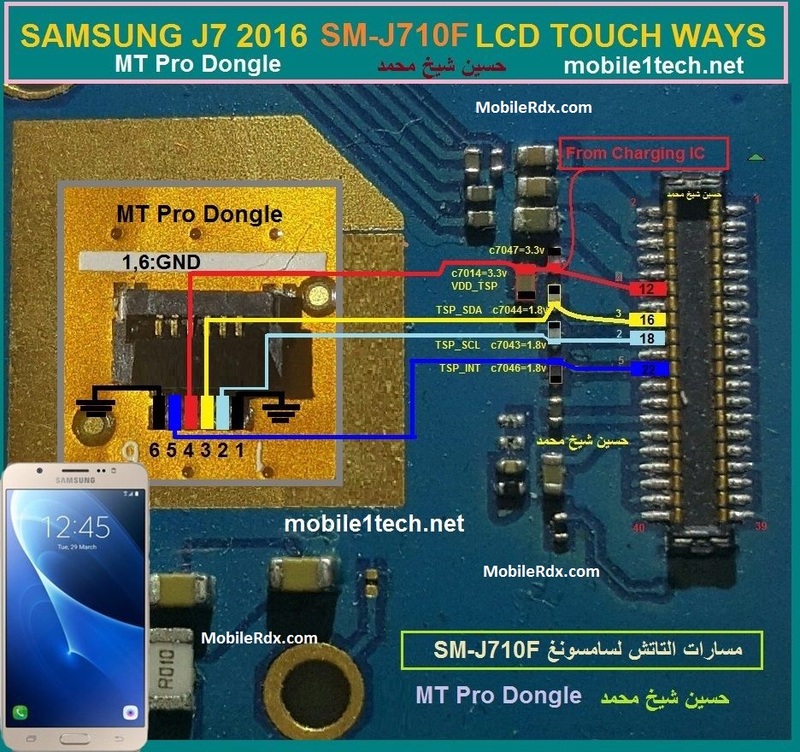 The solution below shows the Samsung Galaxy J7 PCB board components that hold and control the touch screen panel to work. Phone cache is almost full. Your display screen has encountered any kind of physical damage, which has disrupted the phone’s touch screen function partially or completely.